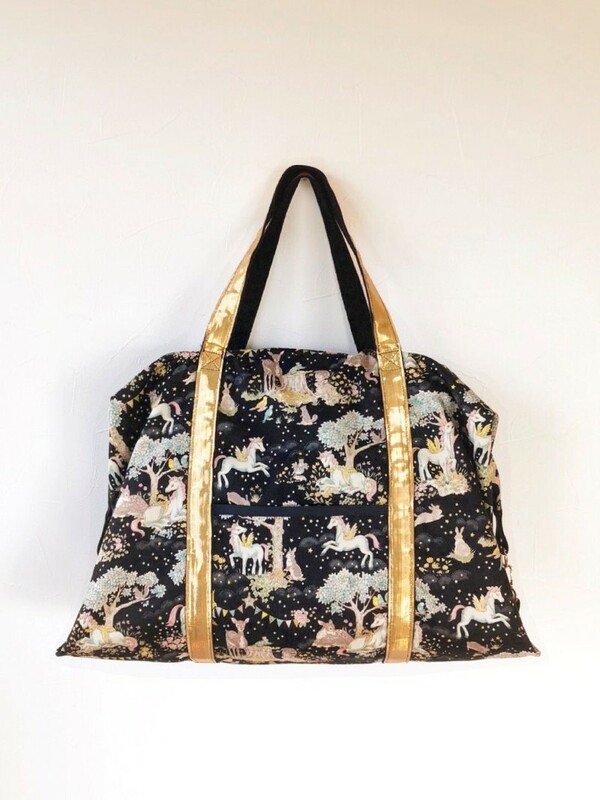 This Boston bag is perfect for a short trip or as a gym bag. It comes in a unicorn design fabric from the In the Forest series. 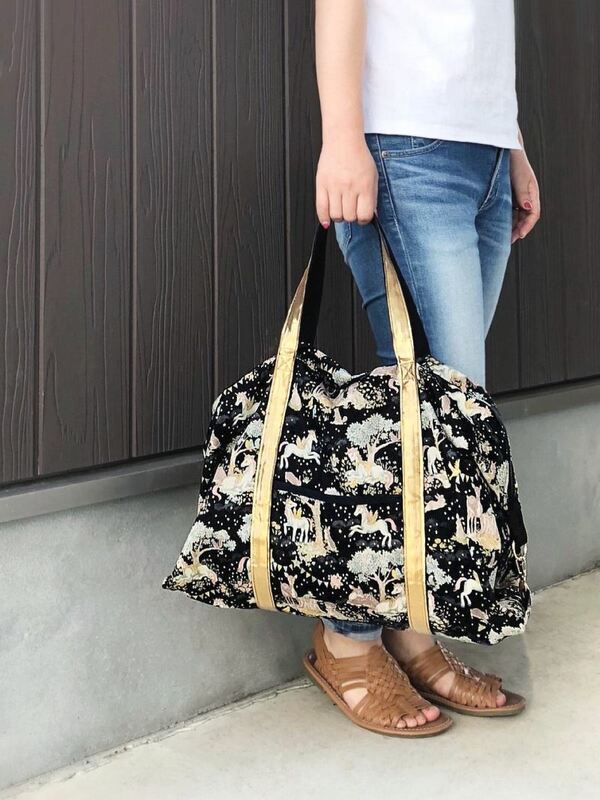 To go with the pattern that has chic black and yellow accents, gold handles are added to create a mature and stylish look. 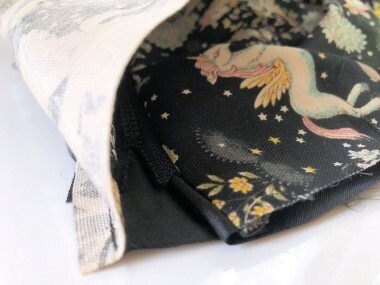 The light oxford material is practical and convenient as the bag can be folded when not in use. 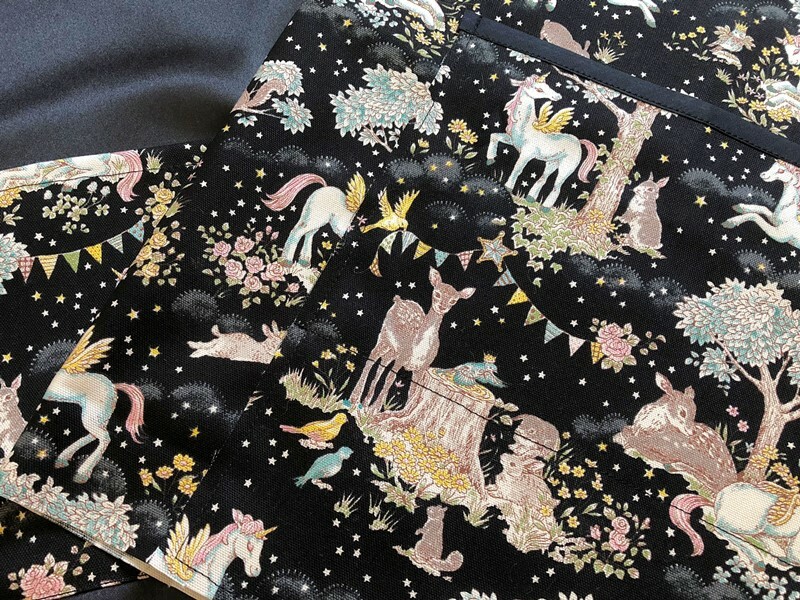 What a fun fabric with unicorns and variety of animals! 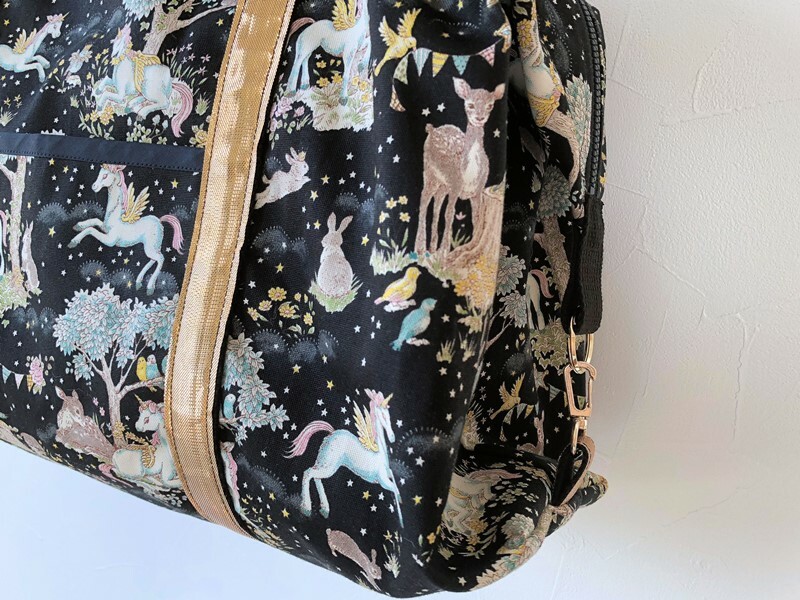 I personally love animal motifs, so I came up with a large Boston bag so that all animals can be featured. 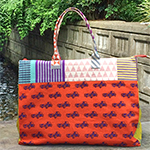 The oxford fabric is soft and it doesn’t normally keep the shape when used for making a large item. At the same time, it can be large yet light and foldable. 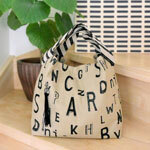 Taking advantage of these characteristics, I incorporated a design to make it look good even when the bag is not full. It is large but the process is not that difficult. When sewing the areas with the handles and tab, please make sure to use a larger needle as there will be added thickness. I intended it to look mature and pop with a black and gold combination. 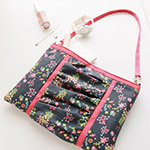 I am sure you will find the bag useful in many ways, as an everyday gym bag and for your summer trips. The handle is long enough to carry over the shoulder, but you could also attach a shoulder belt to a round O ring by not connecting the swivel hook to O ring. This is a large bag with a long zipper. Here, outer fabric, lining fabric and zipper are all sewn together. 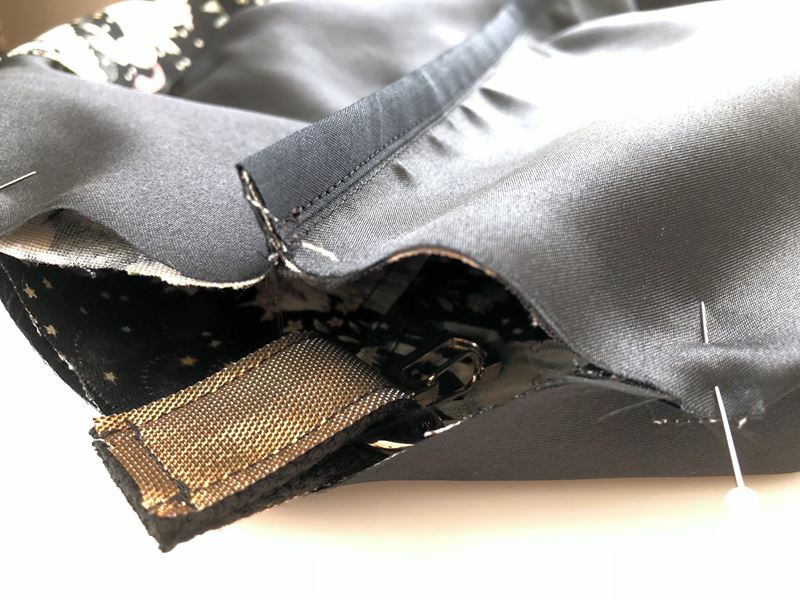 To avoid getting the satin lining fabric gets stuck in the zipper, you may add stitches (as shown) if you like. After sewing the sides and the bias binding tape is applied, sew the gusset by placing a tab with a swivel hook in-between. 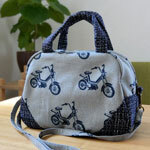 Slowly operate the sewing machine. Depending on the horsepower of your machine, you may want to move the pulley by hand, paying careful attention so as not to break the needle. 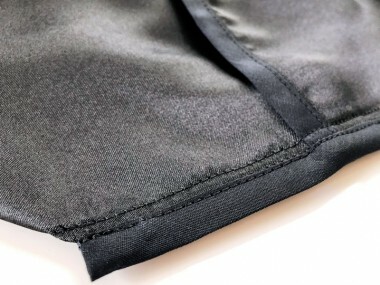 The gusset is also finished with a bias binding tape like the sides. It makes it stronger with tension. It may be an extra step, but it is effective for a large bag. Use a tab to attach the ring by the zipper. Connect with the swivel hook to finish. You can use either O ring (as shown) or D ring.